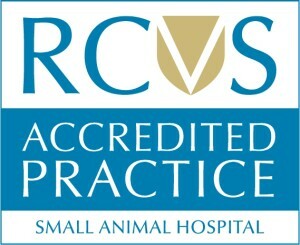 As an RCVS accredited ‘Small Animal Hospital’ we provide a comprehensive range of general practice and specialist pet health and care veterinary services for our South West based clients and their pets. From puppy clinics, vaccinations and routine health checks to 24/7 emergency services and advanced surgery, we offer a full range of services from our Bridgwater based Hospital and our Nether Stowey Branch Practice – all to the highest accredited standards. 24-Hour Patient Care is an integral part of our Hospital based service, with staff on-site 24 hours a day. This allows around the clock nursing care and treatment for our hospitalised and intensive care patients. 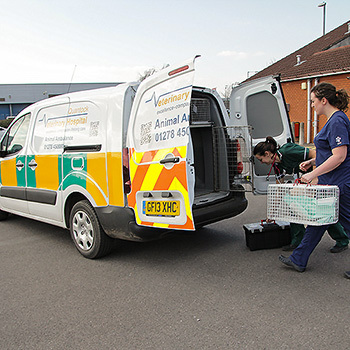 Ambulance services are available Monday – Sunday within normal working hours for patient collection and delivery for clients who have difficulties transporting their pet to the Hospital. 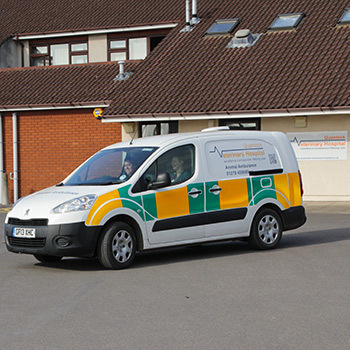 As part of our Emergency Service, the Ambulance is also available for emergencies. 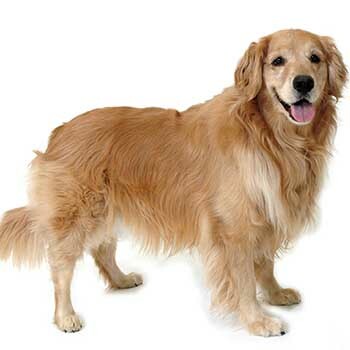 A wide range of chemotherapy treatments are available at the Hospital for pets suffering from cancer. From palliative care to advanced chemotherapy and patient monitoring we are able to treat and manage all but the most complex cancer cases. Training is an important part of the development of a well-balanced, well-behaved and happy dog. 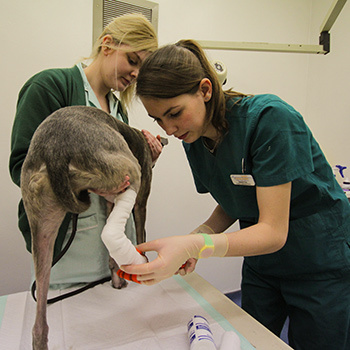 From puppy to senior citizen our Veterinary Surgeons and Veterinary Nurses can provide advice and support. Specialist dog training, one-to-one or in-group training, can be arranged with our Specialist APBC Partner Catherine Tomlinson. 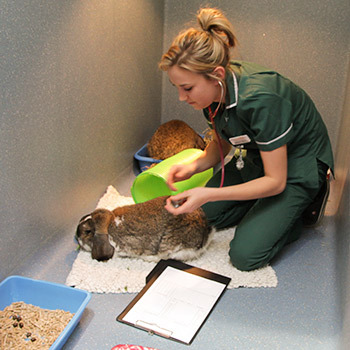 As well as our cats, dogs and rabbits, we see other small mammals, birds and reptiles at the Hospital. With our experienced team and extensive facilities we are able to provide the specialist treatment and care that these patients require. 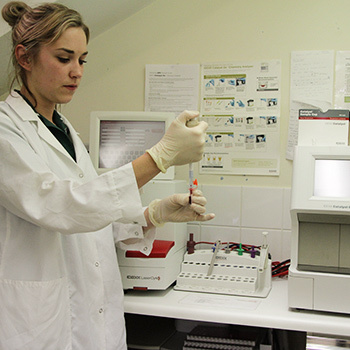 An extensive range of diagnostic tests are available from our fully equipped modern on-site Hospital Laboratory, which provides accurate same day processing of samples and results for the diagnosis and treatment of patients. More specialist tests are available from our leading external laboratory partners who provide daily courier collection of samples ensuring safe and rapid processing. 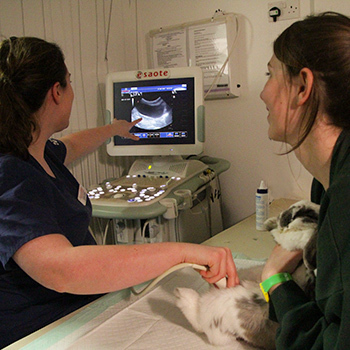 We provide care and support for our dogs, cats and rabbits from birth to old age. Appropriate age-related support – in areas such as nutrition and exercise – is helpful for managing all their specific needs. 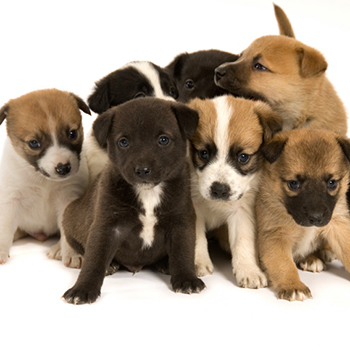 Neutering (Spaying/Castration) for all pets is performed at the Hospital. For dogs, laparoscopic (‘keyhole’) spaying and ectopic castration can be arranged. These are normally day procedures. 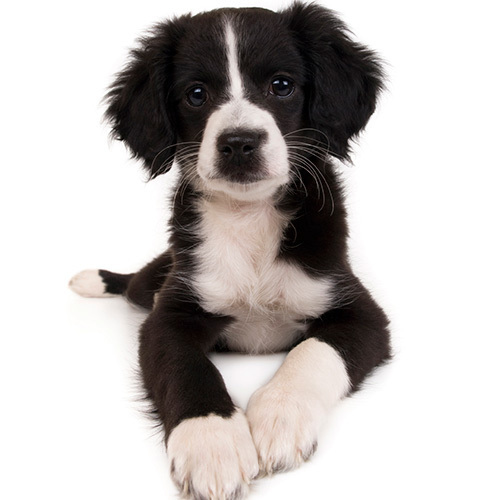 As well as to prevent breeding, neutering can provide great health benefits to a pet. A wide variety of pet care products are available from our shop, from dental hygiene items through to collars, leads and harnesses. We also stock a selected range of high quality life stage diets for dogs, cats and rabbits. Advice is available on all products and diets. In addition to the products we stock, we can order a huge range of other products, which are usually delivered within 24 hours. Working with our Specialist ACPAT Partner Nicky Grant, expert physiotherapy can be arranged for our patients. A wide range of conditions can benefit from the expert treatment of an ACPAT Physiotherapist, from patients needing post-operative rehabilitation to those with conditions such as arthritis and spinal pain. Treatment is arranged through our Rehabilitation Clinic and is administered in our quiet and comfortable Therapy Room. 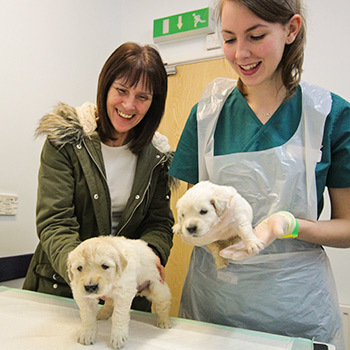 Our regular and free Puppy Parties, held at the Hospital, are a great way for puppies to learn to socialise in a safe environment and to begin basic training. Full of good tips and useful advice the Puppy Parties help to ensure a friendly, well adjusted puppy that likes going to the vet! As well as being fun, these free one hour parties also help our clients learn more about the care and health of their dogs. 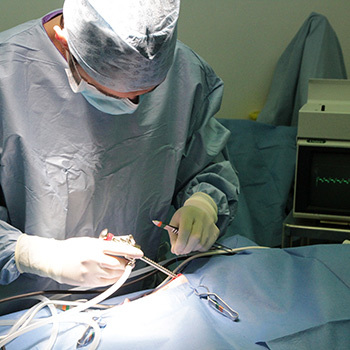 A wide range of routine and advanced soft tissue and orthopaedic surgical procedures are performed at the Hospital in our modern fully equipped operating theatres. 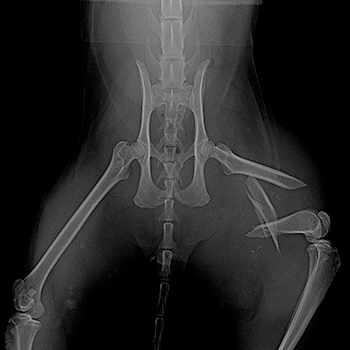 Working to the highest standards we offer a comprehensive range of surgical procedures for all species, from routine neutering to advanced procedures such as TTA cruciate surgery and fracture repair. Ultrasound scanning is a flexible and powerful diagnostic tool used in the investigation of many medical and surgical conditions. Our Ultrasound scanning services are available for routine procedures such as pregnancy scanning and diagnosis. With our state-of-the-art ultrasound machine we offer advanced imaging procedures such as echo-cardiology (heart scans) and ultrasound guided sampling and biopsy techniques. Acupuncture is an effective complimentary therapy used in the management of a range of painful and chronic medical conditions, including arthritis, soft tissue injuries, pain and inflammation. 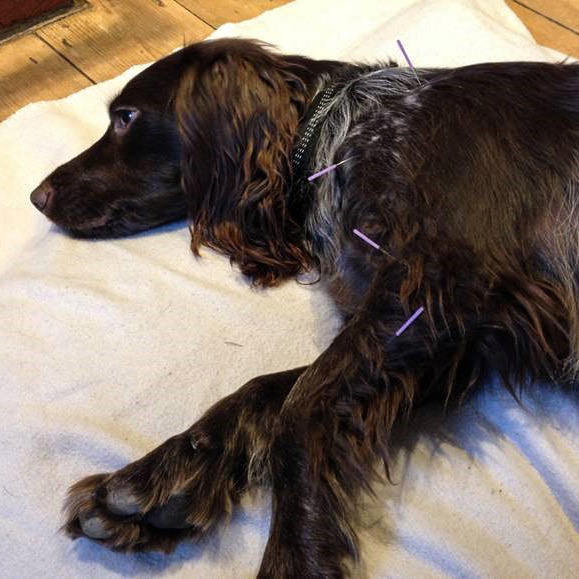 Working with our fully trained Veterinary Surgeon Heidi Hargreaves, acupuncture can be arranged as part of the Quantock Veterinary Hospital Rehabilitation clinic services. 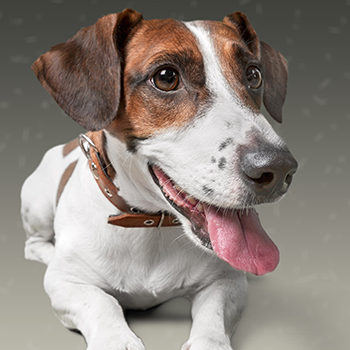 Behavioural Consultations and advice can be arranged during working hours with our Veterinary Surgeons and Veterinary Nurses who are trained to manage a wide range of behavioural issues. For more complicated cases we work closely with our Specialist APBC Partner Catherine Tomlinson. A wide range of consultations with our Veterinary Surgeons and Veterinary Nurses are available at convenient times throughout the week both at our Hospital, Monday to Sunday and at our Nether Stowey Practice. 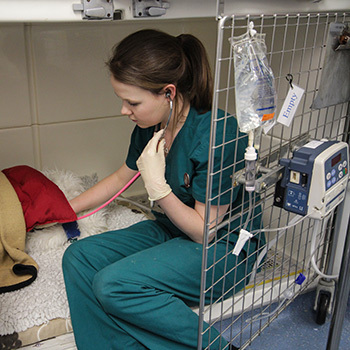 As an accredited ‘Small Animal Hospital’ our on-site staff provide a 24-hour Emergency Service to our clients and pets. From telephone advice and support to a full emergency clinical team – we are available 24-hours a day, 7 days a week for our patients and clients when you need us the most. 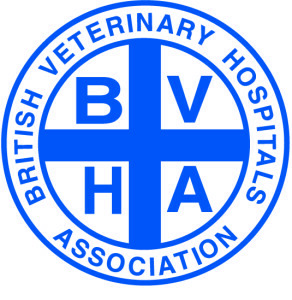 We offer two scheme options for joint assessment and scoring for dogs at the Hospital – the BVA/KC Hip/Elbow Scoring Scheme for dogs over the age of 12 months and the PennHIP Scheme which can be used on dogs from only 16 weeks of age. Both are designed to promote the health of dogs and breeds, by assessing joints for dysplasia and the risk of developing osteoarthritis. We strongly recommend this assessment for potential working dogs, potential breeding dogs and to clients who may be concerned about arthritis. Hydrotherapy is an extremely effective complimentary therapy which can aid many conditions. 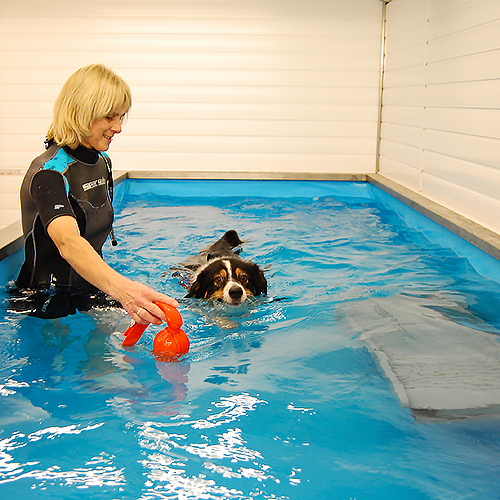 A carefully planned programme using our Specialist Partner Tip-Top Hydrotherapy Centre’s pool or underwater treadmill can help with pre and post operative rehabilitation, orthopaedic conditions, weight management, geriatric and general conditioning. 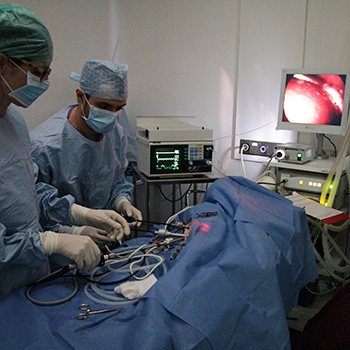 Using state of the art equipment we offer a laparoscopic – or key-hole – surgical service for advanced minimally invasive surgery, ideal for surgical procedures such as spaying dogs and diagnostic procedures such as liver biopsy. Minimally invasive Laparoscopic Surgery is quick, reduces surgical trauma, reduces post-operative pain and offers faster healing and recovery for our patients. Microchipping of all dogs in England is now a legal requirement. It is also highly recommended for cats and rabbits. 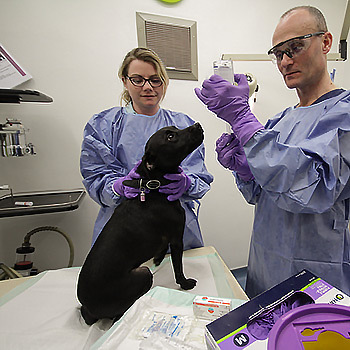 The process involves implanting a tiny micro-chip with a unique identification code under the pet’s skin. 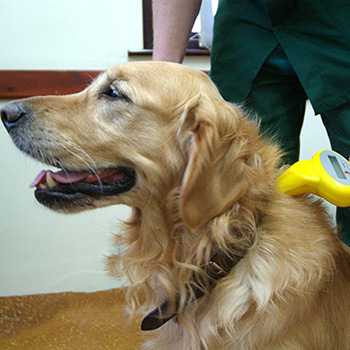 This is a quick and painless procedure and can be carried out at any vet or nurse appointment. 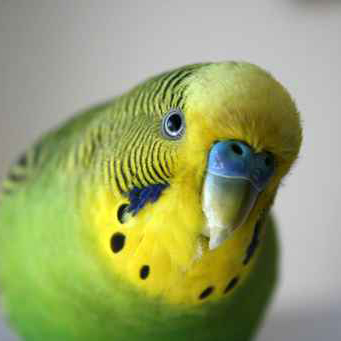 Microchipping of other species such as birds and reptiles can also be carried out at the Hospital. 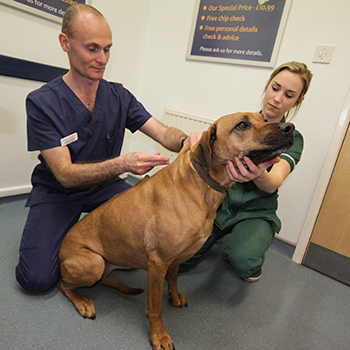 Nurse Clinics are available for a wide range of services including advice on choosing a new pet, pet nutrition, pet training and behaviour and procedures such as bandage changes, post-operative checks and clipping nails. 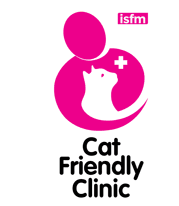 Specific clinics are run on a range of healthcare subjects such as senior pets, puppies and kittens, overweight pets and dental care. 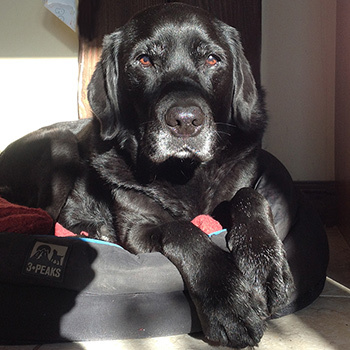 When a pet passes away, we understand it can be a very difficult time. 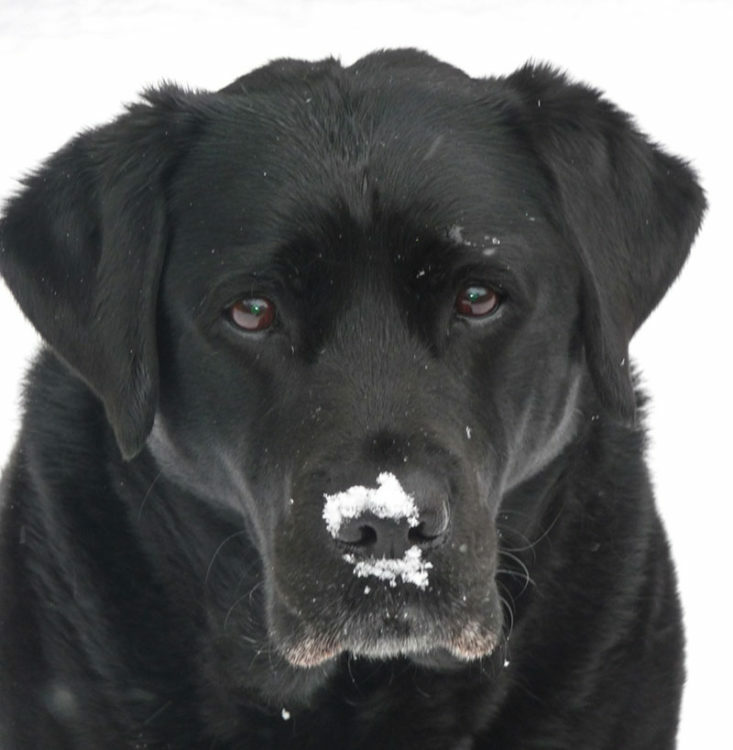 Our staff are available to help in any way we can – with individual pet cremation, arrangements for ashes or memorials. We also offer clients the opportunity to leave Pet Tribute on our website – somewhere to openly commemorate their loved pet. The Blue Cross offer an excellent and free Pet Bereavement helpline on 0800 096 6606. 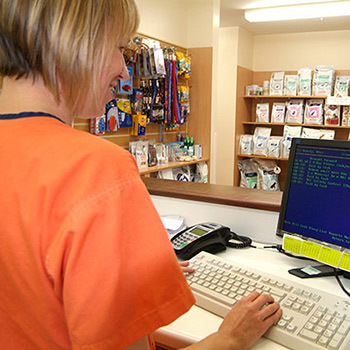 We can supply an extensive range of medicine prescriptions from our well stocked Pharmacy. If our Pharmacy does not stock a particular medicine we can usually have it ordered within 24 hours. Written prescriptions are also available on request. Repeat prescriptions for patients on long term medication can be ordered for collection – to ensure that your prescription is ready for collection, please telephone the Hospital in advance and allow 24 hours for the prescription to be authorized, prepared and dispensed. 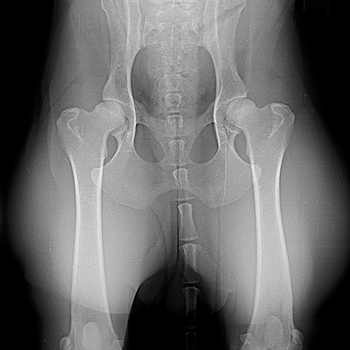 Radiography: Radiography (x-ray) is a key diagnostic tool in modern veterinary care. Using the latest digital radiography systems we are able to conduct investigations into a wide range of medical conditions producing high quality digital images for the rapid assessment and diagnosis for our patients. The Hospital is also equipped with a dental x-ray machine to support our dental services. 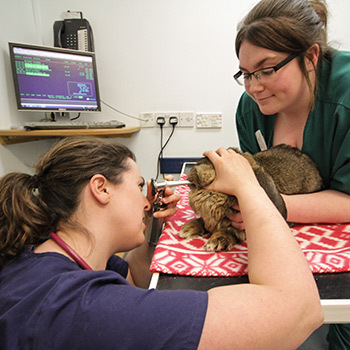 Vaccination appointments for dogs, cats and rabbits are carried out at the Hospital and our Branch Practice at Nether Stowey and incorporate a full clinical examination and health check. Vaccination is usually performed on an annual basis and helps protect your pets against a range of preventable diseases including some potentially fatal conditions. With convenient early opening, Admission appointments with our nurses for patients undergoing routine procedures start from 07:30am. Admission appointments usually take approximately 10 to 15 minutes. Our Veterinary Surgeons and Veterinary Nurses can provide full advice and support for Breeders and their pets. Our Breeding Support services include blood testing for ‘breeding timing’, pregnancy diagnosis, surgical intervention (Caesarean sections) and neonate care and support. 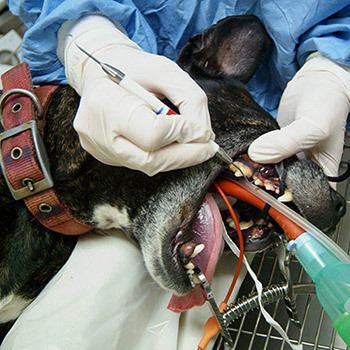 We offer a full range of dentistry for dogs, cats, rabbits and other small mammals. Everything from important preventative health care, advice and products, routine descaling and polishing, through to advanced restorative dentistry. The Hospital has its own dental X-ray machine to support our dental services. 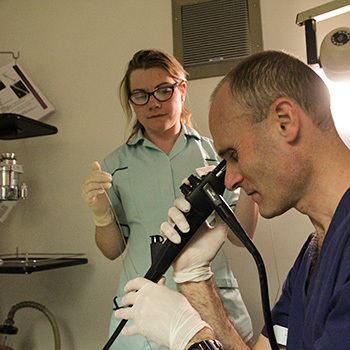 With our range of camera endoscope systems we can investigate conditions of the respiratory and gastrointestinal systems, helping us to diagnose and treat conditions such as coughing, vomiting and diarrhoea. This powerful diagnostic tool not only allows us to take internal samples and biopsies but can also retrieve and remove foreign bodies. 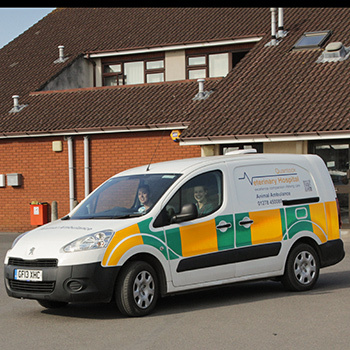 If it suits your circumstances, home visits by our Veterinary Surgeons and Veterinary Nurses can be arranged during normal working hours for your convenience. Our advanced Class IV Laser Therapy unit allows us to offer our patients this effective complimentary therapy used in the treatment of a wide range of painful and inflammatory conditions. It is used to speed healing and to reduce pain and inflammation. 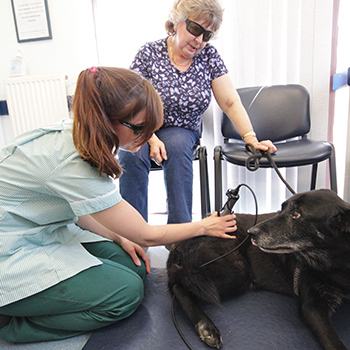 From post-surgical wound healing to spinal pain and arthritis – many patients can benefit from this laser therapy. It is non-invasive, performed without anesthesia and our clients can stay with their pets whilst they have their treatment. 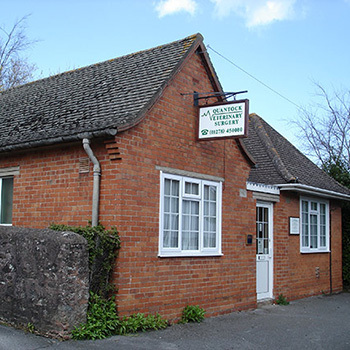 Nether Stowey Practice is our Branch Practice based in the heart of the Quantocks. It provides local, convenient veterinary services for routine procedures and offers both ‘walk-in’ and ‘appointment only’ clinics. There is a convenient free, public car park adjacent to the Practice. Our Veterinary Surgeons can conduct a full range of eye examinations, including tonometry (eye pressure measurement), and treatment. 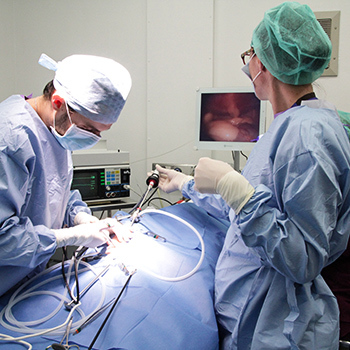 Our Theatres are equipped with specialist operating microscopes to allow delicate surgical procedures to be performed. 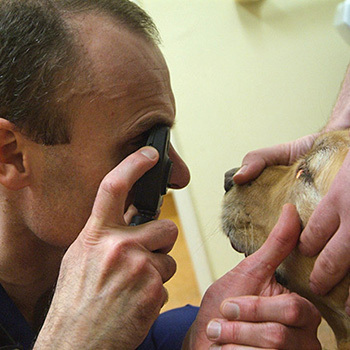 For BVA/KC Eye Scoring schemes, referral to a local specialist Ophthalmologist can be arranged. 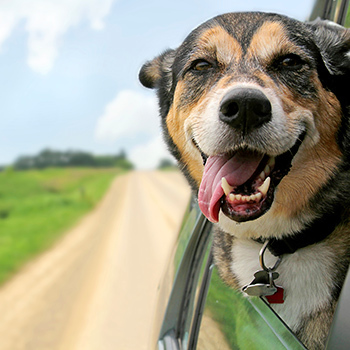 We offer full advice and support for the Pet Travel Scheme including rabies vaccination and the issue of pet passports for both EU and non-EU countries. 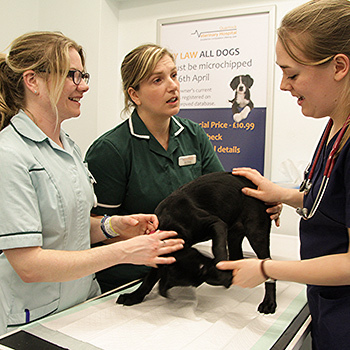 Regular travel clinics are run by our nurses to discuss pets’ needs when travelling including required vaccinations, recommended preventative health care during your trip and advice for the journey. Click for our latest Brexit advice. Preventative Health Care is offered for all small animal species tailored to each pet and the risks to which they are exposed. 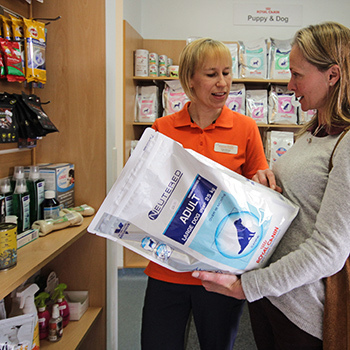 From dental care to vaccination and parasite prevention – all your pets’ needs can be supported and provided for. A full range of preventative treatments are available from our own pharmacy. 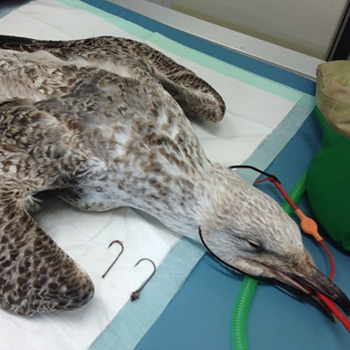 Wildlife Treatment is provided in common with all other veterinary practices, for sick or injured British wildlife brought in by the general public. 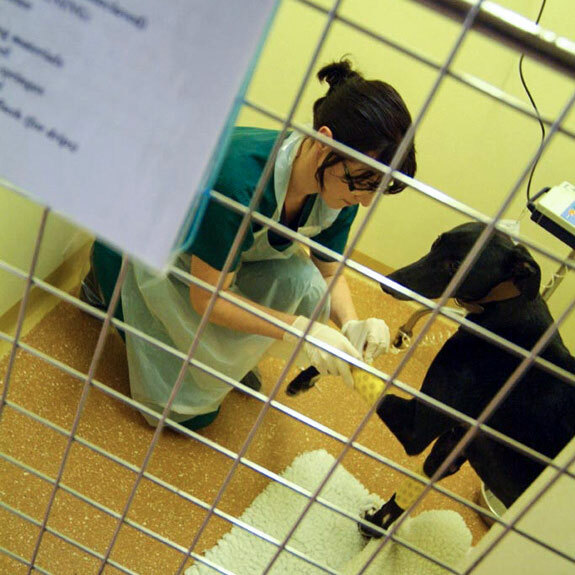 Following treatment, all cases require a period of rehabilitation in a suitable specialist facility before release. 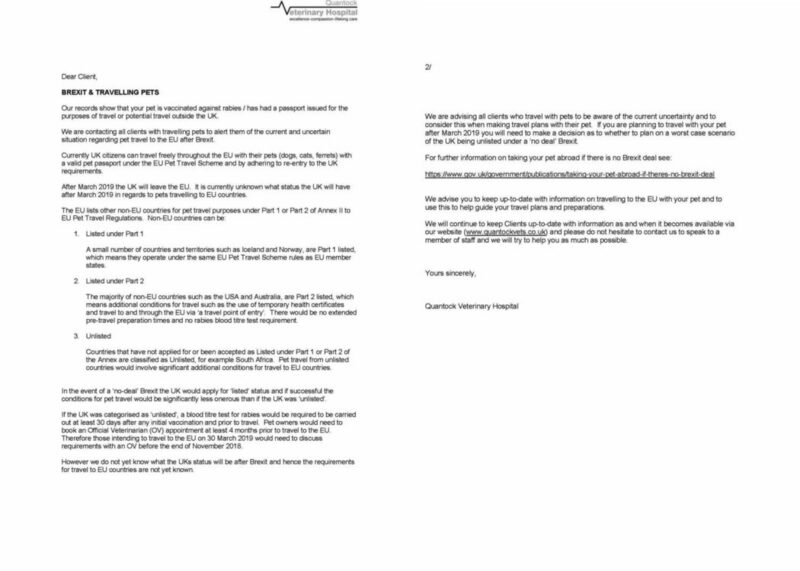 We have an excellent working relationship with Secret World Wildlife Rescue.